In the heart of Sydney, Amora Hotel Jamison Sydney is within a 5-minute drive of Sydney Harbour Bridge and Circular Quay. This 5-star hotel is 1 mi (1.6 km) from Hyde Park and 2.4 mi (3.9 km) from Central Park. Make yourself at home in one of the 415 air-conditioned rooms featuring minibars and flat-screen televisions. Complimentary wired and wireless Internet access keeps you connected, and cable programming provides entertainment. Private bathrooms with separate bathtubs and showers feature designer toiletries and hair dryers. Conveniences include phones, as well as safes and desks. Pamper yourself with a visit to the spa, which offers massages, body treatments, and facials. You're sure to appreciate the recreational amenities, including an indoor pool, a spa tub, and a sauna. Additional amenities at this hotel include complimentary wireless Internet access, concierge services, and a reception hall. Stop by the hotel's restaurant, Croft Restaurant, for dinner. Dining is also available at the coffee shop/café, and 24-hour room service is provided. Wrap up your day with a drink at the bar/lounge. Buffet breakfasts are available daily from 6:30 AM to 10:30 AM for a fee. Featured amenities include complimentary wired Internet access, a business center, and express check-in. This hotel has 10 meeting rooms available for events. Self parking (subject to charges) is available onsite. In addition to a full-service spa, Amora Hotel Jamison Sydney features an indoor pool and a spa tub. The hotel offers a restaurant and a coffee shop/café. A bar/lounge is on site where guests can unwind with a drink. A computer station is located on site and wired and wireless Internet access is complimentary. This 5-star property offers access to a business center. 10 meeting rooms are available. This luxury hotel also offers a fitness center, a sauna, and spa services. Parking is available onsite for a surcharge. 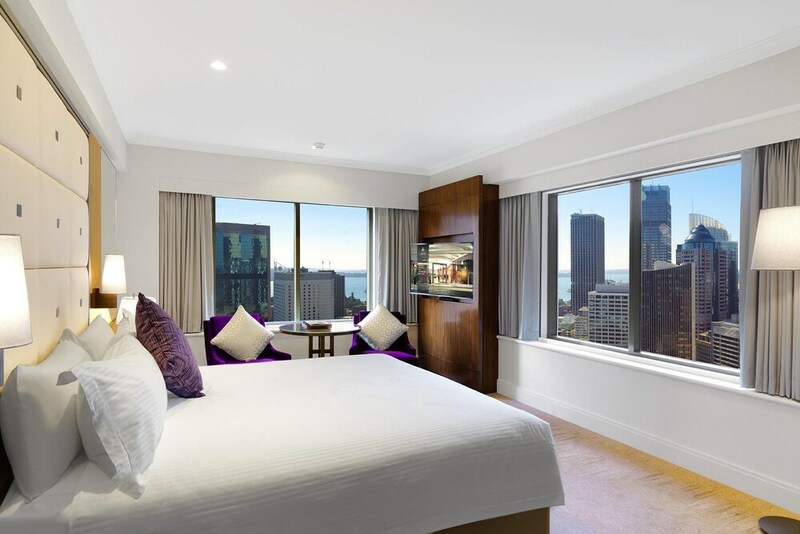 Amora Hotel Jamison Sydney is a smoke-free property.